You might think you live in a safe suburb, where neighbours look out for one another and burglaries rarely occur. However, complacency is never a good idea when it comes to the security of your home. Windows are one of the most overlooked areas of home security, but they are an easy entry point for would-be burglars. If your windows don’t have locks, or they aren’t functioning correctly, you need to read this post. Put simply, windows are an easy point of access to your home, particularly if they are unlocked or without locks. 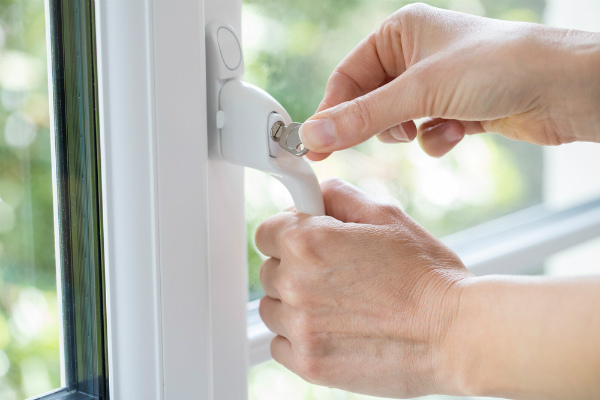 If your windows are unsecured, an intruder can easily break into your home. If you have aluminium sliding windows without locks, a burglar simply has to lift the window out of its frame to gain entry. In this scenario, to prevent break-ins, you will need to have sliding window locks installed by a professional locksmith. You can have all your windows accessible with the same key to make life easier. Which Window Lock Is Best? As mentioned above, if you need to install new window locks (or are purchasing new aluminium windows) it’s a good opportunity to have all your window locks made usable with the same key. Always ask your locksmith about which window lock is best for you as all windows and fittings are different. Other options include vent locks which allow windows to be opened while it is still locked in place. Whichever window lock you go for, their mere presence will act as an anti-theft device and reduce your chances of a break in. Need window locks in Canberra? Superior Locks is your local Canberra locksmith travelling to all areas. We offer a wide range of locksmith services including rekeying, lock repairs, car locks and duplicate keys. Get in touch with us to book an appointment.